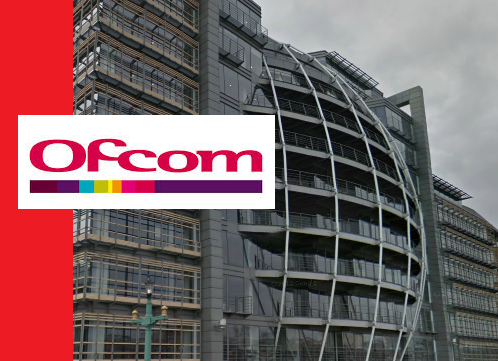 Sky has been named by Ofcom as the provider with the least amount of complaints about its pay TV and broadband services. 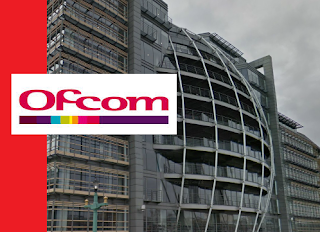 In Ofcom's latest complaints report, covering January to March 2015, BT's pay TV service was found to have generated the most complaints from subscribers yet again, with 0.15 complaints per 1,000 customers compared to Sky's ratio of 0.01 complaints per 1,000 customers, although BT TV now attracts significantly fewer complaints than in 2013, when it was getting 0.55 complaints per 1,000 customers. TalkTalk TV came second in terms of pay TV complaints, with 0.12 complaints per 1,000 customers, an increase over the previous quarter. Virgin Media TV was the subject of 0.04 complaints per 1,000 customers. EE, which is in the process of being bought by BT, drew the most complaints in the landline and fixed line broadband sector with 0.51 complaints per 1,000 customers, up from 2014. BT, Plusnet (owned by BT) and TalkTalk all drew higher than average complaints about broadband. 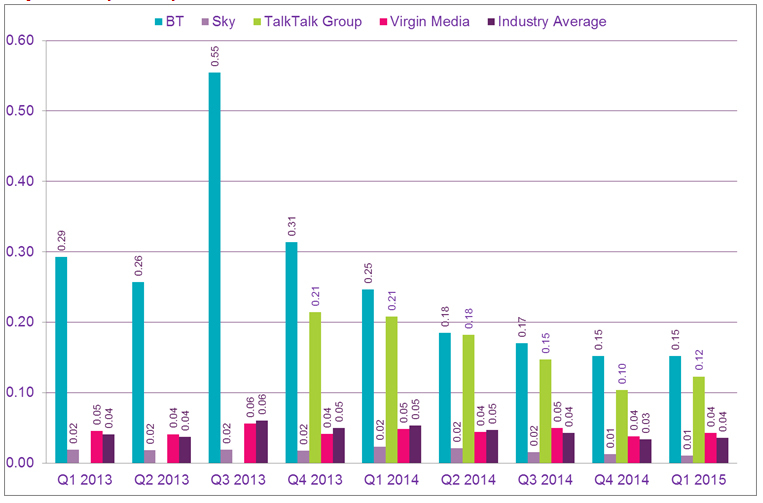 TalkTalk broadband complaints rose from 0.23 complaints per 1,000 at the end of 2014 to 0.26 complaints per 1,000 customers during the first three months of 2015. Sky’s relative complaint volumes (0.05 per 1,000 customers) fell below Virgin Media’s, making it the best performing broadband provider.